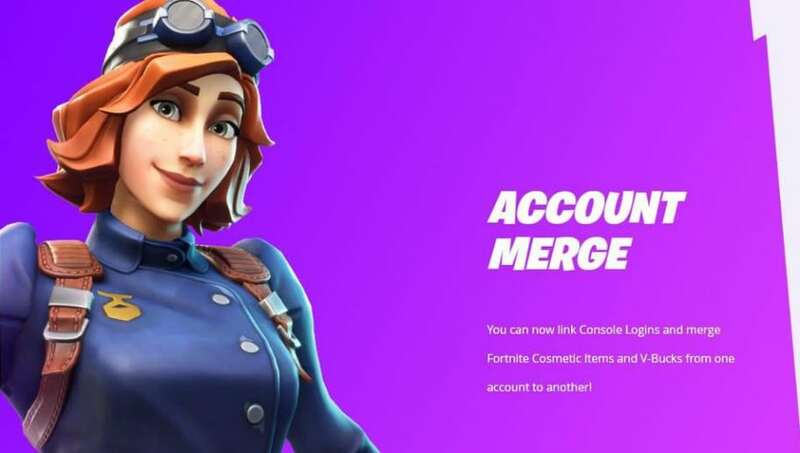 ​Fortnite account merge is now live for all players who wish to combine their cosmetics from two accounts onto one primary account. Here is everything you need to know to merge Fortnite accounts and what restrictions might apply. Epic Games revealed account merging is now possible for ​Fortnite players. Players will need to choose one account to act as the primary account and a secondary account. The secondary account will be merged to the primary account, meaning all cosmetics will move to the player's desired main account, and will then be disabled. After two weeks, all V-Bucks and cosmetic items will be available on the player's primary account. Players will need to have access to all email accounts to complete the process. "Battle Royale will allow you to merge all cosmetic items. Save the World will allow you to merge Llamas, Defenders, Heroes, Schematics, Survivors, XP, Evolution and Perk Materials," Epic Games explained. Players can merge their accounts through ​Epic Games' website.